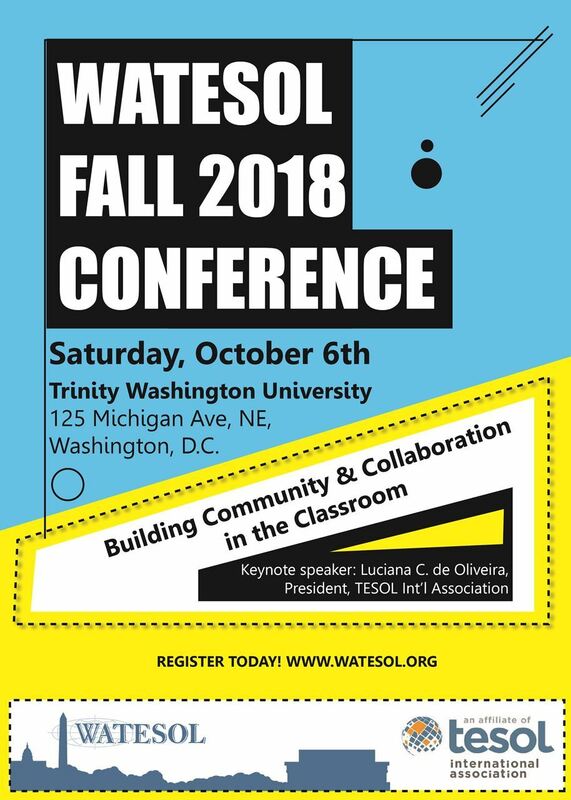 Join us at the WATESOL Fall 2018 Conference! Dr. Luciana C. de Oliveira is President (2018-2019) of TESOL International Association. She is Professor and Chair of the Department of Teaching and Learning at the University of Miami, Florida. Her research focuses on issues related to teaching English language learners (ELLs) at the K-12 level, including the role of language in learning the content areas, and teacher education, advocacy and social justice. Currently, Luciana’s research examines scaffolding practices for teaching the content areas to ELLs in elementary classrooms. Luciana is the series editor of five volumes focused on the Common Core and ELLs (2014-2016) with TESOL Press. She has authored, co-authored, edited, or co-edited 21 books and has published over 180 refereed journal articles and book chapters. Luciana has over 20 years of teaching experience in the field of TESOL and was an elected board member for the TESOL International Association (2013-2016) before being elected President. Among many awards and honors, she was the recipient of the Mid-Career Award (2017) by the Second Language Research special interest group and the Early Career Award (2012) by the Bilingual Education Research special interest group of AERA. Download our conference flyer and post it in your workplace!